Top View Accessories Chinese New Year Festival Decorations.orange,leaf,wood.. Stock Photo, Picture And Royalty Free Image. Image 69142081. 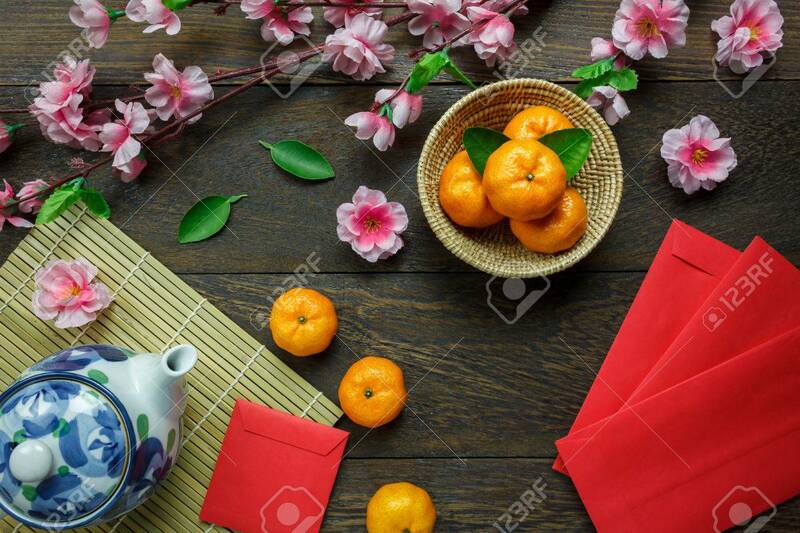 Stock Photo - Top view accessories Chinese new year festival decorations.orange,leaf,wood basket,red packet,plum blossom,teapot on wooden table background. Top view accessories Chinese new year festival decorations.orange,leaf,wood basket,red packet,plum blossom,teapot on wooden table background.